Make Sure Diameter of Mask is at Least 5% Greater than Hole Size. 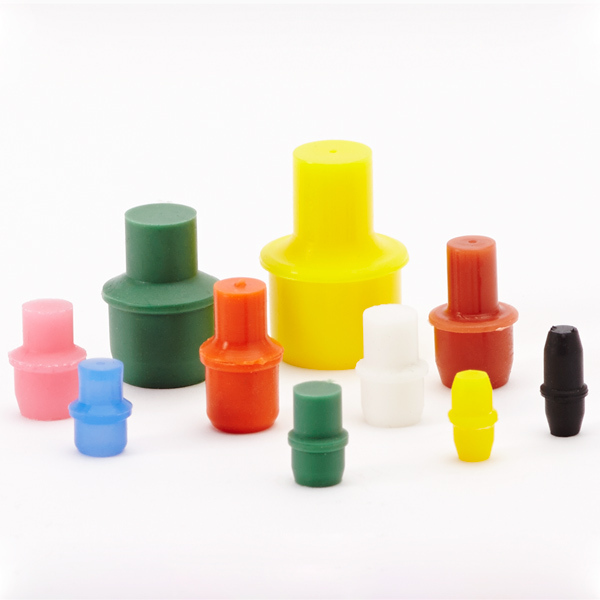 Our Blind-Hole Threaded Mask (BTM) product line is the answer to the common problem of masking off blind threaded holes. The BTM product line has several features engineered into their design to ensure complete sealing of threads. 0.208 (5.3mm) Plug Diameter X"
0.218 (5.5mm) Plug Diameter X"
0.278 (7.1mm) Plug Diameter X"
0.283 (7.2mm) Plug Diameter X"
0.336 (8.5mm) Plug Diameter X"
0.358 (9.1mm) Plug Diameter X"
0.392 (10.0mm) Plug Diameter "
0.426 (10.8mm) Plug Diameter "
0.451 (11.5mm) Plug Diameter "
0.583 (14.8mm) Plug Diameter "
0.724 (18.4mm) Plug Diameter "